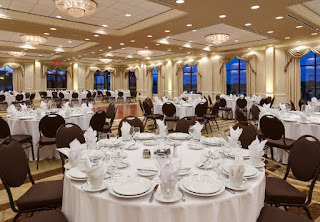 The Olde South Ball will be held at the Spartanburg Marriott on Saturday, September 7, 2019. Bring your camera for photo ops in this beautiful venue! The hotel has given us a special group discount rate of $148 per night. You can use this link to register or call the hotel directly and say you are with the Olde South Ball. Make the weekend a fun vacation and spend the night. A special hotel room rate will be negotiated for those who will be staying overnight. The discount will be posted here. When contacting the hotel, identify that you are with the "Olde South Ball" to receive the special rate. 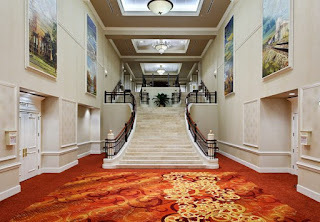 To make reservations, call the Spartanburg Marriott at 864-596-1211 and ask for the Olde South Ball Special Room Rate. When registering for our special room rate at the Marriott, if you are told that the block of rooms is sold out, please call the following number and speak with Jennifer Davis at 864-591-3112. Inform her that you are attempting to register for the Olde South Ball special room rate and she will assist you.